Fans of the hit NBC show, This is Us, know that the second season just wrapped up filming. What they might not know is that the show’s leading actor Milo Ventimiglia is using his time off to do some sightseeing in Vancouver. Ventimiglia first won everyone over as broody teenager Jess Mariano on Gilmore Girls, but it’s his latest role as devoted father and husband Jack Pearson on This is Us that has fans everywhere swooning over him. And it appears that the star has been checking out the sights in Vancouver this week and has stopped by a local cafe, Kits, Pacific Central station and he even made it out to Burnaby. Luckily for us, he shared some incredible photos from his visit on Instagram. Here he’s dreamily gazing out of a window at the Vancouver skyline. 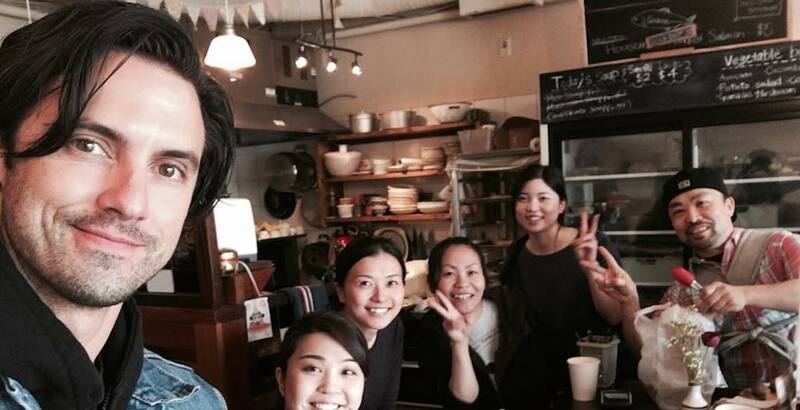 And here he is at Yama Cafe. Here’s a snap of him working out in Kitsilano. And here he’s behind the wheel of a snazzy Cadillac. Maybe he drove the Cadillac to visit Burnaby? Here’s a cool mural he snapped in Gas Town. Vancouver definitely looks good on Milo and we hope he comes back to visit soon.